2012 guests were all in the Air Force at one time. The White Oak Manor Bed and Breakfast joined hundreds of Inns and B&Bs throughout the USA and Canada in opening their doors with complimentary stays for vets on November 11, 2012 so they could have a great night’s sleep in a B&B. David and Tammy Doriot, Innkeepers of the White Oak Manor, have participated in the B&B for Vets program for the last four years. “We are proud to join innkeepers across the USA and Canada in honoring active and retired military and veterans by offering complimentary rooms. We’re thrilled that thousands of vets and their families spent Veteran’s Day in a B&B, like ours. It’s one small way we can thank those serving in the military and their families for the important work they do”. So far we have had Vets from every branch of the service except the Coast Guard. 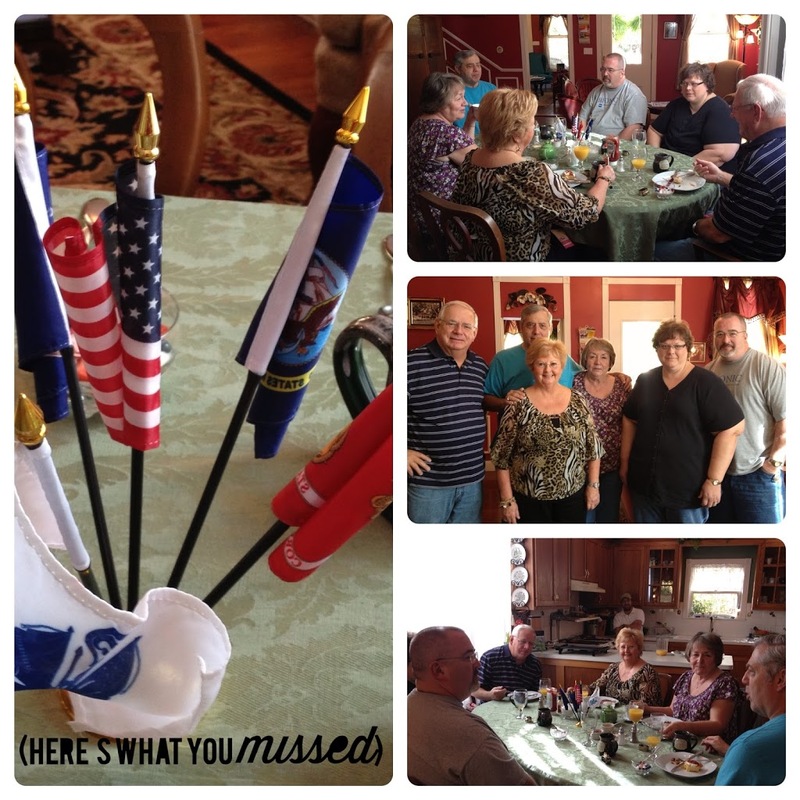 This year, all of our guests were retired from the Air Force. One of our guests even presented us with a gift. It was a centerpiece for our table that had the United States flag and the flags of each branch of the military. And instructions for their placement to insure that each flag is in the right order for next year. That centerpiece will certainly grace our table for many years to come. We hope that next year there will be many more bed and breakfasts opening their doors for this one night of the year to a military person or couple. It is not a big thing for us but it could be a huge thing to someone someday. If you would like to know more about this fantastic program or to find an Inn in your area next year visit the Better Way to Stay website. Or better yet sign up for our newsletter and we will let you know the details next year.